Founding partner Mathew Zenner concentrates on the areas of personal injury, products liability, employment discrimination, and medical malpractice. Recipient of The National Trial Lawyers: Top 100. This is an invitation-only organization composed of the premier trial lawyers from each state in the nation. He is admitted to the bar in Tennessee and Minnesota. Mr. Zenner is admitted to practice in all Tennessee trial courts, the Tennessee Court of Appeals and Supreme Court, the U.S. District Court (Middle, Western, and Eastern District of Tennessee), and the U.S. Court of Appeals (Sixth Circuit). During his education at the University of Minnesota College of Law, he served as student director of the Civil Practice Clinic and received the BNA Award for Excellence in Employment Law. Additionally, during his undergraduate education at the University of St. Thomas (St. Paul, Minnesota), he was an All Conference baseball player. 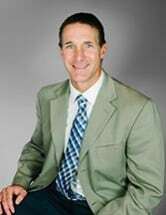 In addition to practicing law, he enjoys participating in triathlons, having completed more than 40, and spending time with his wife Lisa and two children Berrin and Ava. Matt is also an assistant coach, for Boys and Girls Cross Country at Franklin Road Academy and a WNSL youth basketball coach.